SEO Isn’t Rocket Science: Keep It Simple. Posted on 31st October 2011 at 13:20. The world of SEO can be a murky one. Many practitioners will tell you that it’s a complicated and highly specialised business that requires the services of a seasoned and experienced professional. To a certain extent they have a point. However, like most professionals, they can tend to over egg the pudding. Some will bamboozle you with all sorts of technical jargon and make what is essentially a simple process sound incredibly complicated and involved. Others will say that if you want to get your website noticed, then the only solution is to throw money at it. 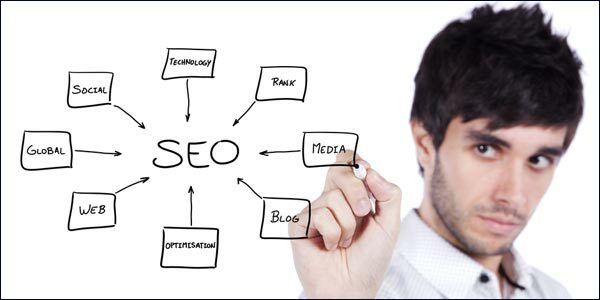 The truth of the matter is that SEO is essentially a simple and logical process. If you can get the basics right, your business should start to see the benefits. Of course you can go down the AdWords road, and get specialised advice on keywords from practitioners, but if the basics aren’t in place, then you could be throwing money away unnecessarily.If your business wants to become more visible on the web, then all you need to do for starters is follow these 5 simple tips, and sit back and watch the volume of your traffic increase. Make sure you choose and use the right keywords. Does the phrase ‘a rose by any other name’ strike a chord? Well, it should. You’ve probably seen it all the time, especially on the internet. Companies these days seem to be obsessed with buzz words and convoluted phrases and descriptions. More doesn’t necessarily mean better: quite often more is less. I’ve recently seen the phrase ‘vehicle traction-enhancing security product’ used to describe a car tyre. Why? Well, because it’s trendy and apparently ‘clever.’ Well, it’s not: it’s unnecessary and usually counterproductive. Simple, direct language is better and will bring more targeted results. After all who will search for a vehicle traction-enhancing security product when they’ve had a puncture? Make sure you choose the right keywords for your products, and stick to them. Yes, it’s true that many of the best ones will have been snapped up on AdWords by companies who often seem to have more money than sense. But, there’s more than one way to skin a cat. Be creative with your keywords and play about with them. You’ll find the right ones eventually. Try using Google’s free Keyword Research Tool and find the words and phrases that users are searching for. Once you’ve found the right keywords, stick to them. Write a unique, accurate title and Meta description for every important page. The title of a web page tells search engines what the page is about, so be sure each page title includes the most relevant keywords for that page. The page title appears in search results as the underlined blue link to the page. An attractive title with relevant keywords close to the beginning can entice people to click on it in search results. Ensure the search engines index your site. If your site isn’t indexed, it won’t appear in search results. It’s that simple. Make sure search engines can find your pages by creating an HTML sitemap and/or an XML sitemap. Get links from other websites. Links from other websites, or inbound links, are the equivalent of getting votes of confidence for your website. Inbound links are probably the single most important factor outside your site that will help it rank higher in search results. The best way to get links from reputable and authoritative sites is by creating unique, informative content that people will want to link to. Don’t be backwards at coming forwards though: promote your content on Twitter and Facebook. Engage with others and keep this engagement conversational and friendly. Simply posting links won’t work. If users retweet what you’ve shared, or like your content, then return the favour and do the same for theirs. Look on it as a bit of mutual back scratching if you prefer. When search engines see the same content on two web pages, they regard one page as the original, and the other as a lower-quality duplicate. Low-quality pages don’t rank well in search results, and duplicate content will be of little help to your prospective customers, either. What’s more, if you have identical content on two pages, and users link to both, you’ll finish up diluting the power of those links. If this is a problem you’re facing, then redirect one of those pages to a 301 redirect to make the links function most effectively: concentrated links are much better than diluted ones. If you’re unsure whether you do have duplicated content on your site, then try using Google Webmaster Tools. Sign up, and visit the diagnostics section, and click on the “HTML Suggestions” tab. From there, you can check the “Duplicate Title Tags” section to identify duplicate content. Nearly Three Quarters Of Customers Use Local Search For Information.The Truth About Keyword Density.